We saw the movie Philomena last night, and I was intrigued by the reference to Jane Russell. 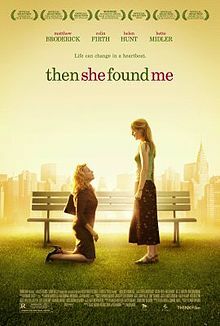 I think it’s well known by now that the movie deals with the practice of some convents and other institutions in Europe to force single young women to surrender their children for adoption and to require a large donation from American couples to take those children to the United States. The movie has to do with a particular instance in which a woman named Philomena Lee, whose child was taken from her in that manner, attempts decades later to find out what became of the boy. 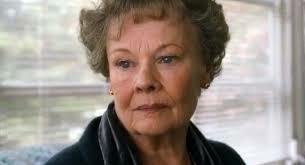 In the more or less true account, Dame Judi Dench plays Philomena, who — in the company of a freelance writer — visits the convent where she was left by her father after becoming pregnant at the age of 18. The reporter notices among the photographs hanging in the reception room at the convent an autographed, provocative photo of Jane Russell. He asks a nun about the photo, and the clear implication is that Jane Russell was among the wealthy Americans who “bought” a child at this convent. 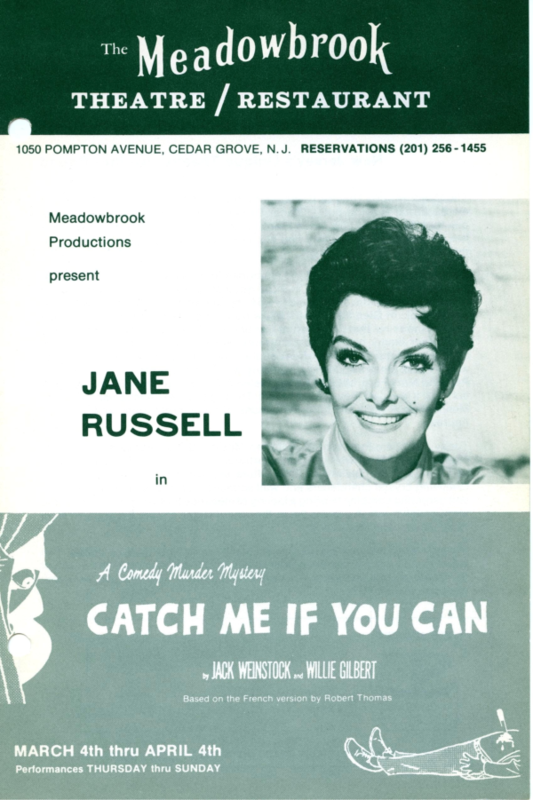 That caught my interest because I met Jane Russell in 1971 when she was appearing here in New Jersey in a production of Catch Me If You Can. 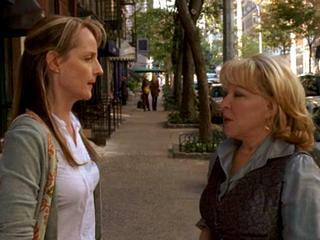 In fact, I had coffee with her in Manhattan and one of the topics of our conversation was adoption. 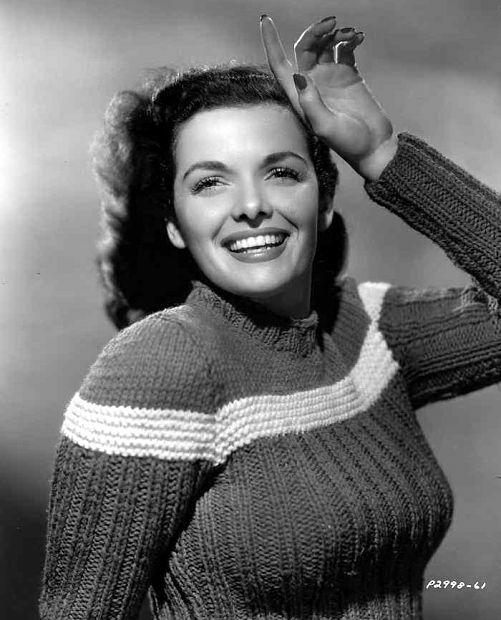 Jane Russell told me that during her first marriage, which was to Hall of Fame quarterback Bob Waterfield, she visited orphanages and similar institutions in five countries in Europe and was frustrated to find that it was nearly impossible for an American couple to adopt the children who were languishing there. She eventually did adopt three children, but her experience in Europe also inspired her in 1952 to found the World Adoption International Fund which eventually facilitated tens of thousands of adoptions. She became an advocate for adoptive parents and children, testifying before Congress in 1953 in favor of the Federal Orphan Adoption Bill which allowed American parents to adopt children fathered by American troops overseas. And in 1980 she lobbied for the Adoption Assistance and Child Welfare Act which provides financial assistance based on the particular circumstances of foster and adoptive parents and adoptive children. From what I have read so far, I deduce that Jane Russell did not adopt a child from the convent that is the focus of Philomena. I did read an account of an interview in which she told a reporter that after having failed to adopt a child in England, she was going to try her luck in Ireland. Whether any of her eventual adoptions amounted to “buying” babies, I cannot tell. I do notice that news stories that refer to her as one of the wealthy Americans alluded to in Philomena do not go on to report her work on behalf of adoptive parents and children. 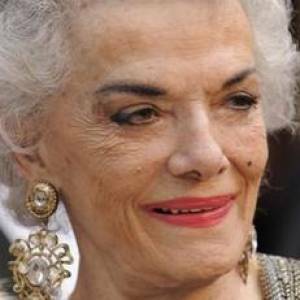 Several decades ago, I made an appointment to meet the actress Jane Russell in Manhattan. While I was waiting for her in a bar off the lobby of her hotel, a man came in and asked if I was who, as it turned out, I was. He made small talk that included apologizing for the delay, an apology Jane Russell had already adequately made via the house phone. Somewhere in the chit-chat, the man said, “By the way, it might not be a good idea to ask her about Howard Hughes.” Nothing, I told him, was farther from my mind. Jane Russell’s association with Howard Hughes — which dated back to the 1943 film “The Outlaw” — had been documented ad nauseam. In fact, I wasn’t primarily interested in the career in which she established herself as a talented entertainer. I was there to talk to Jane Russell about an organization she founded that did pioneering work in placing children from overseas in adoptive homes in the United States. As far as I know, this organization — the World Adoption International Fund — is still functioning. I understood the motivation for the emissary’s advice. Jane Russell’s life had its “paths and detours,” as the title of her autobiography noted, but she was hardly alone in that regard. In the short time I spent with her, she seemed like a nice woman, and I believe that is her reputation. But it was hard for her to escape questions about Hughes — who had first made her a national celebrity. Hughes was an unusual figure, an engineer, an award-winning aviator, an aeronautical innovator, an airline and aerospace mogul, a film producer and director, and a philanthropist. He was also eccentric, and over time his eccentricities took on more and more bizarre and self-destructive characteristics. There had been a flurry of news reports about his mental condition around the time I visited with Jane Russell — whose connection to him was far behind her — and it must have been inevitable that someone would seek her opinion. Hughes’ behavior was at least as outlandish as that attributed to Michael Jackson, whose death prompted me to think about Hughes. One can only imagine how his life would have been covered by today’s media. I do not understand the subject well enough to know what to make of all the hyperbole about Michael Jackson’s transforming influence on popular music. Even if it’s valid, it hardly compares with Hughes’ contributions, but it does present a similar paradox — a man endowed with more than the usual share of talent and insight and the will and savvy to put it to use, and yet a man so deeply flawed that his insanity becomes more an object of public fascination than his achievements. The man who approached me in the bar didn’t think I was going to ask Jane Russell about Hughes’ design for the H-4 Hercules. Given the man’s apparent age, in fact, I’m not sure he would have known enough to think that. Hughes was already known more for his frailties than for his works, and his experience evokes the question of how Michael Jackson will be remembered in the long run.